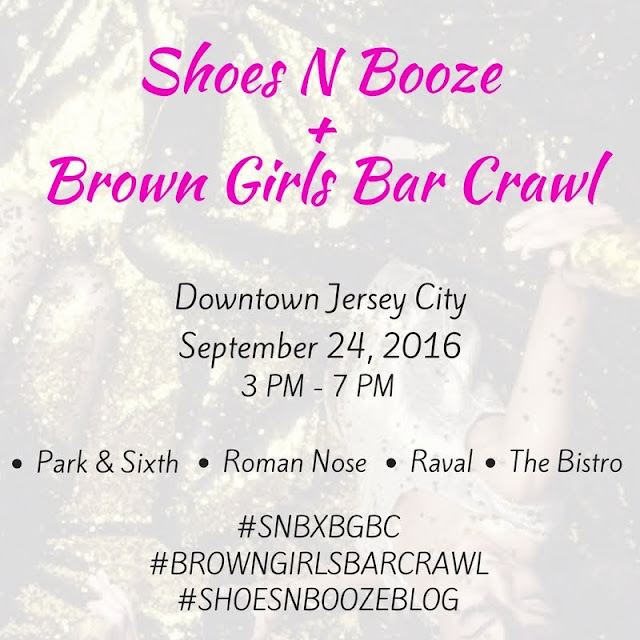 Shoes N Booze has partnered with Brown Girls Bar Crawl for another installment of #SNBXBGBC in Downtown Jersey City. This Saturday from 3-7 PM, we'll bring our collective flyness to some of my favorite hometown hangouts, where we'll enjoy drink specials and tasty appetizers. Park & Sixth and Roman Nose will kick off the crawl again (both say they have new drink options for us to try), and we're adding two new stops to the crawl: Raval and The Bistro. Oh, I've been told that men are welcome this time, so feel free to bring a fella.